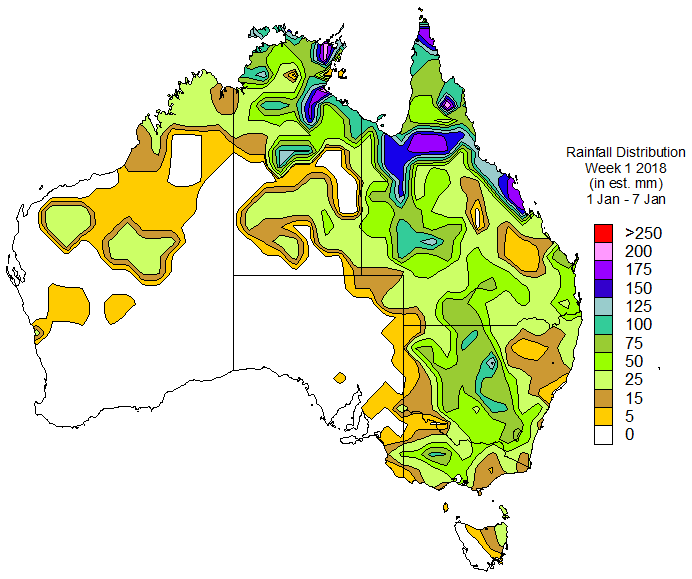 In colour for the whole country, each weekly map shows how much rain is expected. Therefore you receive 5 rain maps for October. Sold as a monthly package. Cost: 25AUD for the 5 for the month.